As a member of the Housing Industry Association we offer fixed price contracts with no hidden costs. Genuine 10 YEAR guarantee on all new roofs and roof replacements. 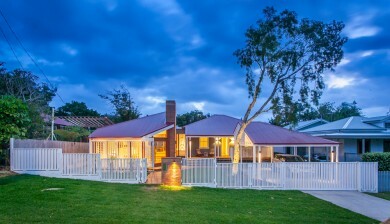 Skilled Roofing are the roofing experts. Using only the highest quality materials, highly skilled tradespeople we guarantee to install a roof that is built to last. Our complete customer service solution, meticulous attention to detail and dedication to excellence is what sets us apart. Building a new house or renovating? We offer sophisticated roofing solutions that are built to last. 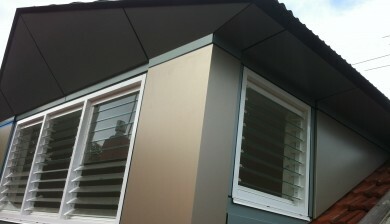 Use our specialised zinc, copper & ALUCOBOND® installation services to create a modern finish. 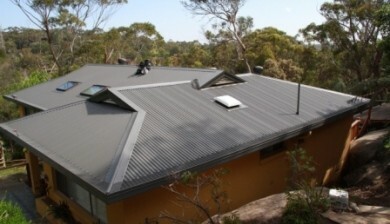 Add significant value to your property by replacing your old roof using COLORBOND® Steel. 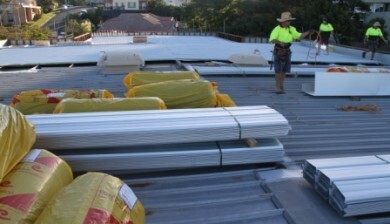 Our commercial roofing experience ensures your project will be delivered on time and on budget. All work was completed to the highest standard, to quote, and in a timely manner. Mark and Rich are a credit to this Company and a pleasure to have working in our property. We would recommend Skilled Roofing for any job requiring competent, skilled tradesmen that care about the finished outcomes. Thank you for the excellent job you did in replacing the damaged roof at the Brunswick Bowling Club. From the outset I was most impressed with your efficiency and professionalism and the finished job reflected the great pride you take in your work. The job commenced on time and was finished on schedule – a rare occurrence these days and I would like to thank you for going the extra mile for us when you came across a few stumbling blocks. I must firstly commend you not only on the installation of our new roof, but also on your professionalism in handling the job from start to finish. Your team were always on time, personable and extremely thorough – which has made you stand out from all other tradespeople we have used in the past. Thanks for the requote which I accept. You might be interested to know the reason we decided to get you to requote, rather than go with the original lowest quote. It came down to communications. You are responsive and the other party was frustratingly not responsive to phone calls or emails. Find out more about Skilled Safe-T-Rail, a division of Skilled Roofing and our complete commercial and residential safety guardrail service.